ARLINGTON, VA, 13 May 2015—The National Genealogical Society (NGS) honored excellence in the categories of newsletter editorship and service to the Society with the presentation of several awards at the Opening Session of the NGS 2015 Family History Conference in Saint Charles, Missouri, on 13 May 2015. The Opening Session keynote speaker was J. Mark Lowe, who spoke on the topic “The Tales of Pioneer Paths: Rivers, Roads & Rails” after which NGS President Jordan Jones presented the following awards. Winner: About Towne, newsletter of the Towne Family Association, Inc., edited by Rae Russell Johnson. Honorable Mention: The Seeley Genealogical Society Newsletter, newsletter of the Seeley Genealogical Society, edited by Katherine M. Olson. Winner: GRIVA News and Notes, newsletter of the Genealogical Research Institute of Virginia, edited by Sharon Barden Garber. Honorable Mention: The Newsletter of the Irish Family History Forum, newsletter of the Irish Family History Forum, edited by Patricia Mansfield Phelan, and BIGWILL News, newsletter of the British Interest Group of Wisconsin and Illinois, edited by Karen Glass. Winners: Wisconsin State Genealogical Society Newsletter, the newsletter of the Wisconsin State Genealogical Society, edited by Tina Krummel. The President's Citation is given in recognition of outstanding, continuing, or unusual contributions to the field of genealogy or the Society. The NGS President selects the recipient(s). This year’s the citation went to two outstanding individuals: Pat Richley-Erickson aka Dear Myrtle of South Jordan, Utah, and Dr. Ruth Ann Murray, Assistant Dean of the Metropolitan College, Boston University. .
Richley-Erickson’s ongoing engagement with the genealogy community continues in all media, including her blog, Google+ hangouts, and her flash interviews. She provides news and commentary for all levels of genealogists, encouraging beginners to continue to learn, and reminding more experienced genealogists that there is always more to learn. Pat has encouraged genealogists and genealogical societies to be more inclusive of people with diverse backgrounds and heritages, an initiative which has had challenges and can still improve. The NGS Quarterly and genealogical higher education have never had a better friend than this year’s second President’s Citation award winner, Dr. Ruth Ann Murray. Her 2008 assessment of genealogy’s value in the education marketplace has resulted in more than one thousand students, graduating with a certificate in genealogical research from a major American university. Her faith in the rigor of this program—written by five experienced genealogists and taught by some of NGS’s best known conference lecturers —helped qualify this course for an A.C.E. recommendation of three graduate credit hours. Alumni across the country and around the world are putting what they have learned into practice, swelling the ranks of genealogical societies and taking leadership positions in those organizations. Graduates include many members of our NGS family. NGS also recognized several individuals for their dedicated efforts in support of the NGS 2015 Family History Conference in Saint Charles, Missouri. 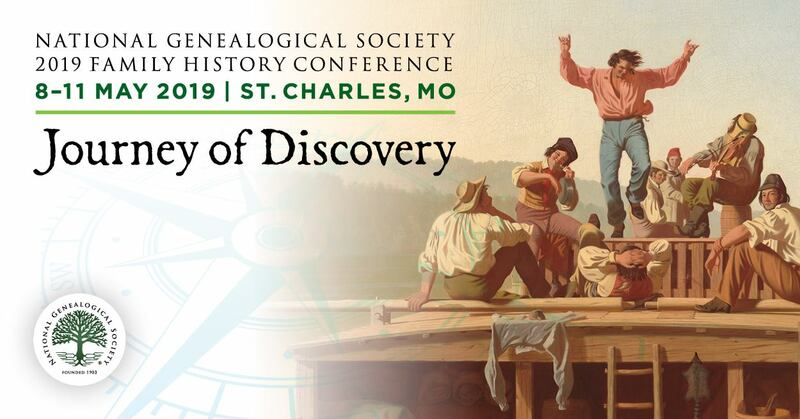 The Award of Honor was presented to the Saint Louis Genealogical Society in recognition of its dedication and sustained service in support of the conference. Certificates of Appreciation were given to recognize the committee chairs that spent countless hours preparing for the conference. NGS is aware it would be impossible to produce their conference without the volunteers’ efforts and commitment. So honored were Frances Behrman and Edward Dolata, Local Host Co-Chairs; Karen Goode and Jeani Ward, Volunteer Co-Chairs; Barbara Larson, Carol Bell, and Diane Broniec, Registration Co-Chairs; Ken Webb and Dan Kerchkoff, Exhibitor Co-Chairs; Viki Fagyal, Publicity Chair; Judy Belford, Hospitality Chair; Kay Weber and Carol Hemmersmeier, Youth Camp Co-Chairs; and Paula Novack and Margie Giblin, Booth Co-Chairs.